John Scott Brinkerhoff has worked with our company before—The Cloud Fisher, a book of poems, was released on January 23, 2018. 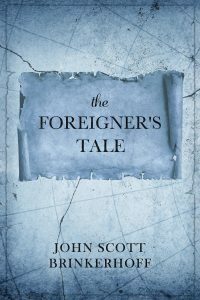 So when John was ready to publish The Foreigner’s Tale, an epic fantasy novel, he already understood the importance of having his book produced by a team of professionals who cared about his finished product, all while retaining creative control over his work. We were more than happy to deliver. The Columbus Publishing Lab team proofread the manuscript, laid out the interior of the book, and built a beautiful cover that reflected the content and tone of John’s novel. We then handled the distribution of The Foreigner’s Tale to major print retailers. The resulting product is an artistic, accurate realization of the author’s intent for the book. The Foreigner’s Tale is now available from Amazon and Barnes & Noble in hardcover and paperback formats, as well as available to brick-and-mortar bookstores around the world. John Scott Brinkerhoff collects a quarterly check for his sales, without the hassle of running to the post office, storing and warehousing orders, or paying for them upfront. Throughout the entire publishing process, John had a dedicated point of contact to answer his questions and provide him with updates. Calls were answered or returned, emails were read and promptly answered, and a close-knit team who actually cared about his book brought the project to fruition. This level of service is standard procedure at Columbus Publishing Lab. It is my pleasure to introduce Emily Hitchcock as Chief Executive Officer of Columbus Publishing Lab. My role with the company is changing. 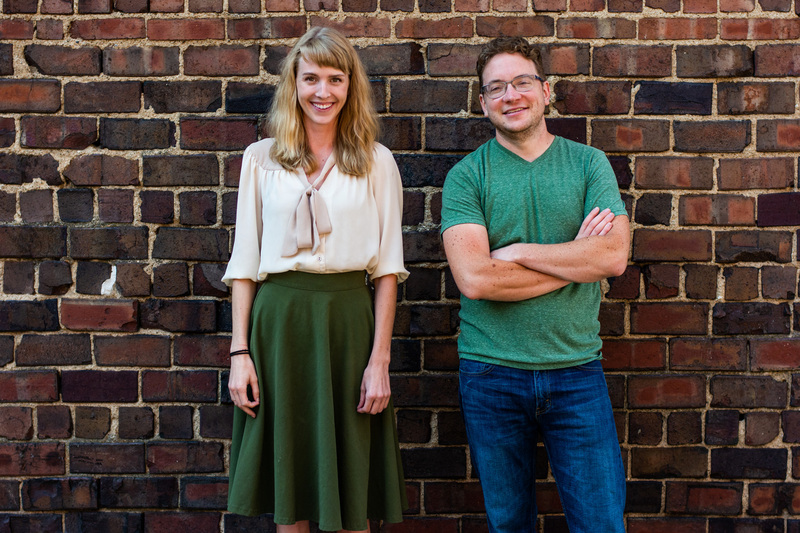 I’ll still be working with Emily and our staff as a developmental editor, but my primary focus will be outside of the company where I will be launching a non-profit school for creative writing. Emily has served alongside me as the Chief Operating Officer for many years. She has learned the industry inside and out, and is already more familiar with the day-to-day operations of our company than I am. She is hardworking, creative, honest, and pushes herself to excellence every day. I am confident that she’ll continue to represent the company with integrity, and to carry on the tradition, values, and mission that have defined our organization. I step away from my role as CEO confident that every author and client our company serves will continue to receive excellent service and transparent communication. It has been a pleasure to serve so many wonderful authors. I look forward to working alongside Emily and seeing the company continue to soar under her direction. This transition will not affect any services that our authors and clients are presently receiving. Thank you for your support and understanding in this transition. Please contact us with any questions. Here’s to a new generation of excellence at Columbus Publishing Lab. P.S. Learn more about my non-profit organization, the School of Kingdom Writers, at www.SOKW.org. Print-on-demand printing has revolutionized the publishing industry. It has minimized the startup costs necessary for professional publication, and gives small players access to big markets. What is print-on-demand (often called “POD”)? POD means that your books aren’t printed until a customer or bookstore orders them. In the old days, when you “published” a book, you would pay a printer to run off 1,000 copies or more, and then you’d pay a distributor to keep them in a warehouse. That meant a big expense up front for all of that printing, and big risk for you (what if they don’t sell? ), as well as additional ongoing fees for warehousing and distribution. When you work with Columbus Publishing Lab, your book files are stored digitally by Ingram, our distributor. When a customer orders a book, from Amazon let’s say, Amazon calls up Ingram and asks for one book. We print one copy of the book right away and hand it off to Amazon the same day it was ordered, and they ship it out to the customer, pretending like it was in their warehouse the whole time. The cost to print and fulfill the book are deducted from the wholesale price, and the author gets paid without any upfront cost to print and store the book. This is incredible! But it does have one drawback. In order to keep that system efficient so that we can print thousands of different titles each day, there’s a limit to the book sizes and options that we can accommodate. If you want a book printed at an uncommon size or with special features, like pockets, embossing, or fold-outs, you won’t be able to take advantage of POD technology. You’ll be back in that old boat of paying a printer for a big order up front, and then either paying a distributor to warehouse it, or putting them in your basement and trying to find a way to sell them yourself. It’s almost never an issue for novels, but we sometimes run into this when an author brings us a complete project like a Children’s book, graphic novel, photo book, or art project. 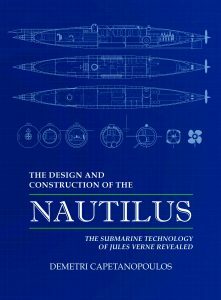 The author has already completed all of the design and artwork, but unbeknownst to them, it’s at a non-standard size. Or perhaps they built the project with some special feature in mind, like a fold-out map that isn’t critical to the project, but now everything is built around that feature. We always work with the author to find a way to make it work, but that usually means that we either need to reformat everything and redo a lot of work, or we need to print a large quantity up front and distribute those books old-school from the warehouse. What that means either way: things just got a lot more frustrating and expensive for the author. And the fallout is usually an over-priced book and poor sales. But there’s an easy solution: Give us a call! And call us early. (You can also now text us at 614-805-3982.) Let’s start from the end point and show you the parameters for what we can print and distribute with this amazing POD technology. Armed with that information, you’ll be able to make good choices from start to finish regarding how you size and layout your pages and what features you’re expecting. Most illustrators don’t care if the page is 8.5″ x 8.5″ or 8.5″ x 9.5″. So if an 8.5″ x 8.5″ page will save them thousands of dollars in up front cost, it’s all gravy. They just don’t have that information until we talk, but if they know before they start, it’s easy enough to make it work. We can’t wait to work together with you. 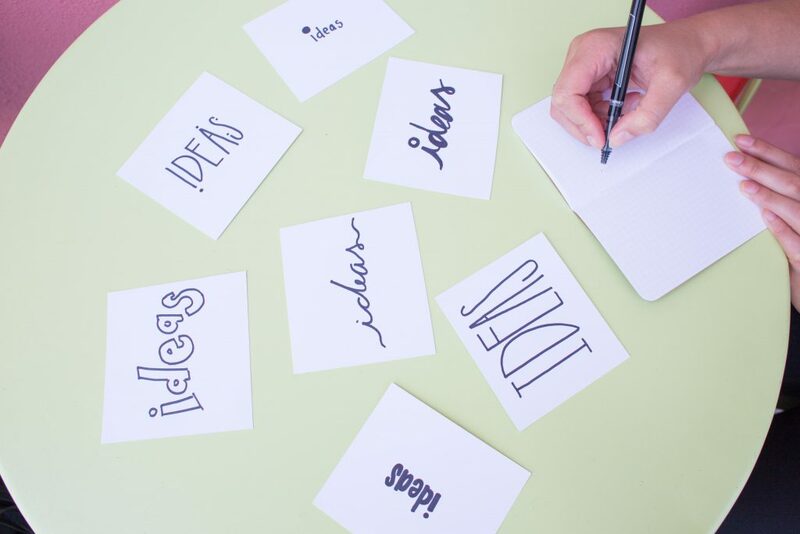 You have a great idea that you’re excited about, and we’ve got the nuts and bolts knowledge to make sure that you have the best market access possible, and you’re in a position to succeed. Regardless of your project, it’s never too early to start a conversation. The journey is so much easier when you know your destination. 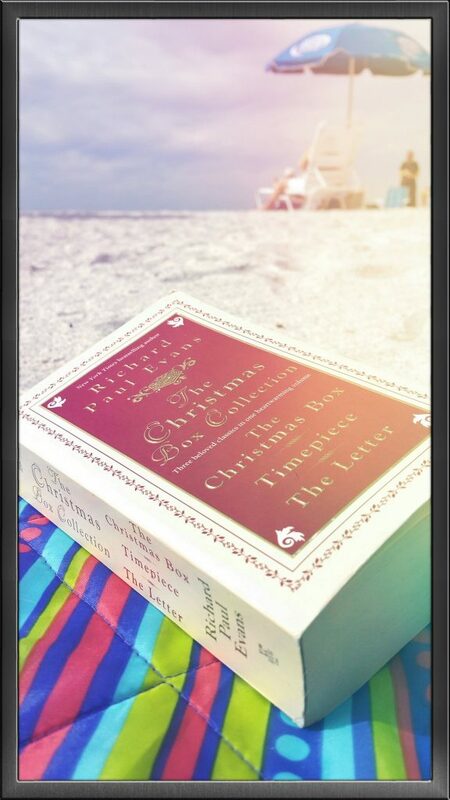 Thinking About a Holiday Book Release? Let’s Talk Now! As you lounge in the sun this summer, it may not feel like the holiday season yet. But if you’re thinking about releasing a book to be sold this holiday season, now is the time to start a conversation. Call or text us at 614-805-3982 or shoot us an email at info@columbuspublishinglab.com. We can complete a full production package for most clients in about 6 weeks. But there are a couple of really good reasons that now is the time to move. Our phones start blowing up around September 1. The kids are back in school, and authors everywhere are suddenly remembering that eager gift givers will be ordering books soon. We always prioritize our authors first-come, first-serve, so production can take a little longer in the fall. Secondly, when Black Friday hits, you want a well-built book profile that attracts potential buyers. You need your book to have a stack of good customer reviews on it. That doesn’t happen overnight. For most books, a September-October release is ideal. That gives you some time to pass the book off to reviewers, sell some initial copies, and generate good buzz before strangers start comparing your book to every other book they might give as a gift. This is especially important for independent and small press books. Sure, Dean Koontz or Danielle Steel can drop a book on Black Friday and it will fly off the shelves. Those are authors with existing readers. But for a new author and a book that doesn’t have quite the same scale of release, book buyers want to know that the book is good before they pick it up as a gift. It’s up to you to make sure that your reviews demonstrate who loves your book, before the holiday buying frenzy begins. Many copies of your book that are gifted will be given by people who read your book, loved it, and think a friend or family member might like it too. That takes time to happen. There’s another reason to start now. We can’t wait to work with you. We want to have the time to do things right, to help you understand the industry and make good choices, well prepared, without any extra stress. We pride ourselves on our ability to do great work, and to deliver it on time. But we also value our relationships with our authors, and if we can start on your book now, that gives us plenty of time to work together, think our decisions through as a team, and sometimes take a second look. So let’s start a conversation. We’ll provide all of the services you need to ensure your book looks as good as the Nora Roberts novel next to it on the shelf, and if we time it right, you’ll have more reviews on Black Friday than she does. Give us a call or text us at 614-805-3982, or shoot us an email at info@columbuspublishinglab.com. We’re looking forward to hearing from you. I hate seeing authors waste time and money. 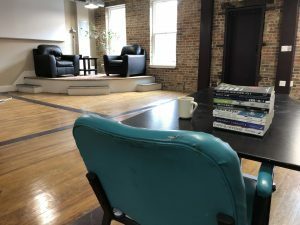 At Columbus Publishing Lab, we help authors self-publish books that are as good or better than the books coming out of large, traditional publishers. And we help them do it in a way that can be profitable. We don’t sell pipe dreams, we sell real services that work. And we help our authors avoid common pitfalls and false promises we see in the self-publishing industry. Paid “trade review,” book blurb or book review services are a huge waste of time and money. This is something we get questions about all the time. I hate seeing authors get sucked into these things. I’m not going to drag any specific company’s names through the mud, but these are services which charge some amount of money (typically $200-$800) for a review and a praise blurb for the back of your book. And they usually offer some other goodies to sweeten the deal. Social media promotion, some kind of newsletter or catalog that goes out to libraries, etc. Based on my decade of experience working with authors at every level of the publishing industry, I can tell you that the reality of these so-called “trade reviews” is that they just don’t work. They do little to no good for your book sales, and the price tag is way too high. They all purport themselves to be honest reviews, but I’ve never seen anybody get a bad one. How is that possible? Typically, the provided long-form review will have a few counter-marks, to make it feel authentic. But you are paying someone to give you a positive review, and everyone in the industry knows it. The reality for these services is that if they don’t provide generally positive reviews, they will cease to have value to authors. Self-published authors will pay $400 for a praise blurb for their book cover, but authors likely won’t gamble the same amount for the prospect of possibly receiving a good review. No Credibility – Everyone in the industry knows the names of the companies which offer paid reviews. It’s not necessarily a bad mark, but it’s not going to give future agents, publishers, other reviewers, etc. the glowing impression you’re expecting, and it’s not going to pay off in credibility for you. You might as well put a praise quote from your mom on the cover. Long Timeline – These review services typically take weeks to provide reviews (4-6 weeks seems to be standard), unless, of course, you want to pay for “Expedited” service. 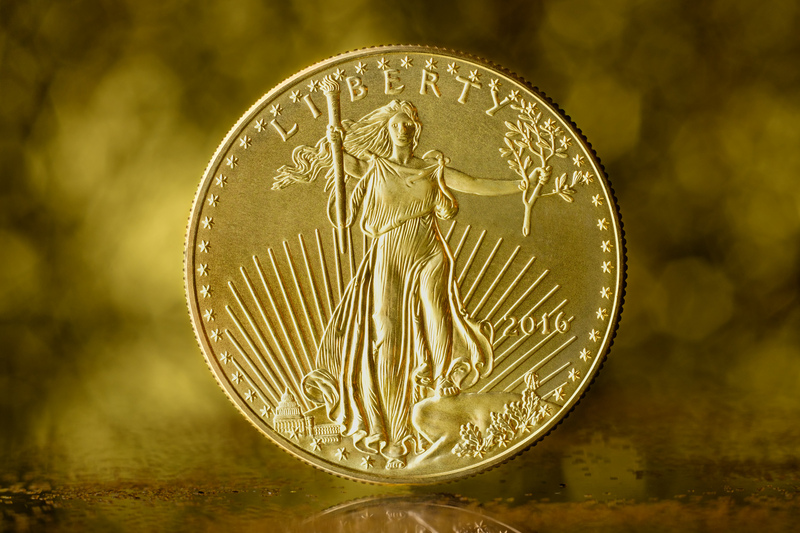 Expensive – Most of our authors aren’t working with huge marketing budgets. Of all of the things you can spend your money on to promote your book, this isn’t anywhere close to the top of the list as far as bang for your buck. No Real Organic Reach – These services typically advertise that X number of bookstores and libraries read their reviews, or they may broadcast your book to X number of social media followers. I’m not accusing them of lying. I’m sure they send a catalog or an e-newsletter to that many outlets, but it doesn’t mean that anyone actually reads it or that it nets sales. In my experience, I have never seen any evidence, or even a single anecdotal account from real life, that indicates that an author received any kind of real publicity, sales, attention, etc. because of one of these paid reviews. As far as social media followings, have you ever purchased a book because you saw a paid review service promoting it on Facebook? We didn’t just write this to rain on the parade. There are better alternatives, and they’re mostly free. Before we embark on any objective, the first question to ask is “Why are we doing this?” The most common answer I get for paid reviews is “Such and such from my writer’s group did it and got a great review.” Call me old fashioned, but everybody’s doing it, just isn’t enough for me. So what’s the value in praise blurbs anyways? There are two big ways that they help: 1) Social Credibility – quotes for the book jacket, website, etc. 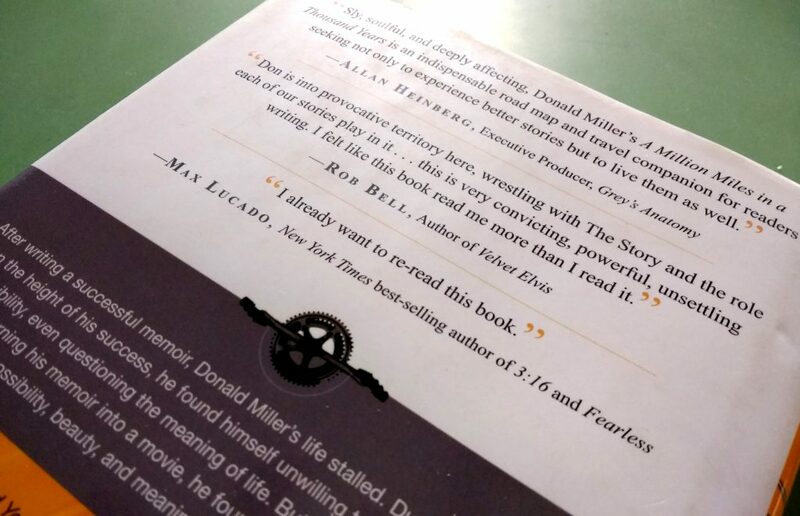 prove that someone has actually read this book and liked it. When a reader picks up your book, having someone else’s positive opinion absolutely helps; and 2) Promotional Connections – when you put a praise blurb on your cover, you have more access to that reviewer’s contacts and network. And of course, paid trade review services claim to offer these exact things. But at such a high cost and with such poor results. You can achieve more for much less money. 1. Use your personal network (or find a personal network) – reach out to published authors you know for a praise blurb, no matter how small they are. It’s free to you, it’s shared publicity for them. Even if the author isn’t well known, or isn’t even any good, that praise blurb will carry at least as much credibility as one from Bedirkus Reviews, and you just saved $400. And you can probably get a review from a friend in less than two weeks. You’ve also just incentivized a real person to push your book – on their blog, social media, to their friends – because their name is on the back of it. Their network is an audience that isn’t overburdened with constant spam of book recommendations, and their friends trust them to recommend good books. Obviously better authors, and authors in your genre will have a better result. Reach as high as you can, but take what you can get. If they say yes, don’t forget to return the favor by pushing their book to your followers. 2. NetGalley – NetGalley is a service that connects your book to real reviewers. NetGalley makes your book available to thousands of professional book reviewers, who can get a copy of the book for free if they’re interested. This is less valuable for praise blurbs, as it’s often a better fit after the book is released, but it’s a great way to get real reviews on Amazon and out on some book review blogs. These are real people, so they have followings – people who like their personality, their taste in books – and these fans trust and use their recommendations. Be forewarned, these are real reviews in the wild, so you might get some bad ones, but that’s OK. Even bad reviews can lend credibility, as it demonstrates a wider readership of the book. Unlike paid trade reviews, real reviewers are incentivized to leave honest reviews. If they’re not honest, they’ll lose credibility with their followers who trust their recommendations. NetGalley can be a little bit expensive, but we work in volume, so if you come through Columbus Publishing Lab, we can give you a better deal than you can get if you go directly to NetGalley.com. Most of our authors receive 3-10 reviews for about $200, which is a far better deal (and with far greater reach) than what you’ll pay for one review through a paid trade review service. 3. Ask for help! When you work with Columbus Publishing Lab, we want your book to succeed. That’s how we stay in business. Our authors get great results, and then they tell their friends “These guys can help you do it right.” So let us help you do it right. You may not feel like you know a lot of authors, but we know a ton! If you’re getting a comprehensive publishing package from us and you’re committed to publishing your best book, we’d be happy to connect you with some authors in your genre so that you can request a praise blurb. Not all will say yes, or they may want you to review their book in return, but that’s how new networks form, and that’s how we all move forward together. And you can’t beat the price! Paid trade reviews aren’t a black mark on the book. They’re simply not worth the expense. They don’t net any effective exposure, lend any more credibility to your book than the name of an unknown author, and they take way too long to get. There are better alternatives that make the most out of the money you have to invest in your book. You can spend a bunch of money, or you can make new friends. When you’re pushing a book with a small marketing budget, there is nothing that will help you more than friends in your corner. Before you commit to trade reviews or anything else, let’s have a conversation. We want your book to be successful, that’s how we all win together. Give us a call or text today at 614-805-3982 or shoot us an email at info@columbuspublishinglab.com. Our initial consultation is free. We look forward to speaking with you. There’s a lot of flashy showmanship and big promises within the self-publishing industry, but a lack of reasonable information and realistic expectations. At Columbus Publishing Lab, we value long-term, mutually-beneficial relationships with our authors, based on trust. As you consider self-publishing, we think it’s important that you base your decision on facts. We’re committed to honesty and transparency, and our average author earnings is helpful information as you consider self-publishing with us. When you make a confident choice with realistic expectations, we have a foundation for a successful relationship. And that’s good for everyone. Of our royalty-receiving publishing clients, the average author received $933 in royalties in 2017. A portion of our books have very limited sales—these books are family memoirs, books for a specific audience or event, or they’ve been on the market for a long time. In any case, the author isn’t pushing this book and doesn’t want or expect a lot of sales. When we adjust the same data set for these books by eliminating all of the authors who received less than $100 over the year, the average “active” author received $1,530 in royalties from us in 2017. We encourage all of our authors to think about their book as a two-year investment. On that timeline, greater than 65% of our authors recover more money in royalties than they spent on production with us. I think these numbers reflect that. Most of our authors turn a profit, and these numbers don’t even include books sold directly by the authors, which we don’t track. In addition to the royalties they receive from us, most of our authors directly sell books (which they can buy from us at the cost to print)—at events, festivals, through their website, on consignment at local bookstores, or through distribution channels they might have set up personally. Our average royalty listed above is only for book sales through conventional distribution methods like Amazon.com, BarnesandNoble.com, Kobo and iTunes which are administrated by us. Most of our authors are making money with direct sales as well as the royalties they receive from Columbus Publishing Lab, which means that in reality, our average active author is making significantly more than the $1,530 we’re paying them. Most of our competitors don’t release this kind of information. In fact, I’m not aware of any that do. I don’t blame them, as I suspect their data doesn’t look this good. At Columbus Publishing Lab, we’re committed to producing books with excellence, and that’s evident in the results our authors achieve. 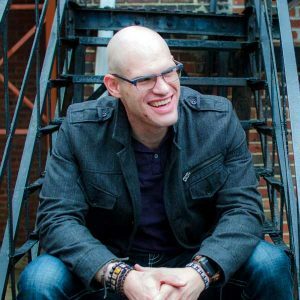 We encourage all of our authors to follow the step-by-step professional production plan Brad Pauquette, our CEO, created and outlined based on his years of industry experience as a publishing consultant. It works. And our authors who invest in their book and follow all of the plan are profitable more than 80% of the time. Join our mailing list by clicking here and we’ll send you a free copy of Brad’s book so that you can learn all about The Five Key Steps to Professionally Publish Your Book. Self-publishing is a business. And it can be a profitable one. Contact us today at 614-805-3982 or email us at info@columbuspublishinglab.com to discuss how we can get your book to market with the best chance of success. We can’t wait to work with you and bring your book to life. Aaron Daniel Behr asked us to help. He was toiling away at social media, but wasn’t gaining much ground—few new followers, no new book sales. So over the month of April, we exploded Aaron’s social media with new, real followers who are interested in him and the books he’s selling. We grew his Facebook audience from 82 individuals to 3,135 real followers. Every new follower was carefully targeted because they’re interested in the topics that Aaron is talking about. During the same time period, his Twitter audience grew from 38 followers to a crowd of 1,385 people. That’s more than a 3,500% increase on both platforms! Thousands of people are now open, receptive, and interacting when he shares his message of hope, and discusses important topics like mental illness, bullying, Christianity, and divorce. Not only did we increase the size of his permanent audience, but we also shared his message and his book with more than 975,000 individuals. More than 70,000 people interacted with his content. 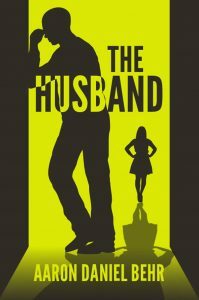 The Husband, a Christian memoir of his divorce and battle with mental illness, is receiving more attention than ever before. Since his social media has blown up, Aaron has received offers to be featured in magazines, podcasts, and more. Learn more about Aaron and his book on his website, www.AaronDanielBehr.com. Find him on Facebook here, or on Twitter @AaronDanielBehr. Before he came to us, Aaron worked hard to produce great content, but no one was responding, the pieces just weren’t coming together. Now when Aaron talks, people are listening. His content routinely gets 100+ interactions with no additional money spent. And when reviewers, agents, and producers find Aaron online, they see an author with an active, vibrant audience and a professional, robust web presence. This is a game changer for Aaron’s platform as an author, and it will net real book sales as he moves forward, and big opportunities over the next few years. It takes the same amount of time and effort to talk to thousands of people on Facebook as it takes to talk to 82. Working with Aaron, we’ve built a social media machine that leverages his time and energy. This is an asset that he will keep for the rest of his life. Does your social media need a shot in the arm? Please contact us, we’d love to chat. Todd and Trudi Martin came to us with a passion and an idea. They love their dachshunds at home, which they’ve bred for years, and they wrote a children’s book which celebrates the personality of each pup and brings them to the page. As a first-time author, working with a first-time illustrator they’d met locally, they had a lot of questions—they were committed to publishing a great book. Our team was happy to answer questions, provide good advice, and coach them through the process to make sure that the results exceeded their expectations. “The hardcover books just arrived, they are BEAUTIFUL! You guys did a great job!” – Trudi Martin, co-creator of Welcome to Doxieville. The Columbus Publishing Lab team edited the manuscript, worked with the illustrations to lay out the interior of the book, proofread the book, and built a cover with the provided artwork. The resulting book is gorgeous, error-free, and an amazing representation of Todd and Trudi’s passion. 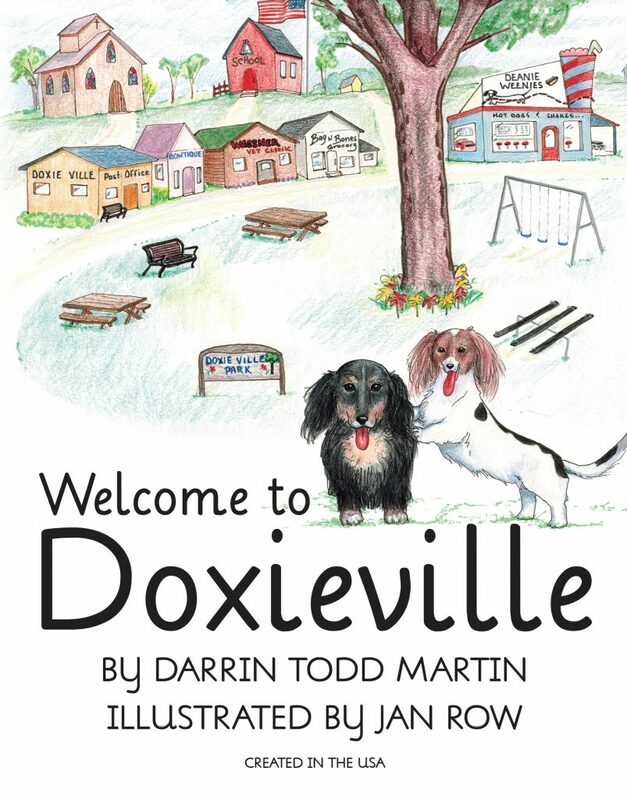 Welcome to Doxieville is now available from Amazon, Barnes & Noble, iTunes, and Sony/Kobo in hardcover, paperback and digital formats, as well as available to brick-and-mortar bookstores around the world. We also built a custom WordPress website at www.DoxievilleBooks.com, and provided guidance and consultation as they set out to market their book. If you’re thinking about self-publishing, it’s OK that you don’t know how to complete every part of the publishing process. That’s why we’re here. Our authors bring their passion to the table, and we fill in the gaps to ensure that their books are better than the books coming out of the big, traditional publishing houses. Todd and Trudi could have taken this book to a traditional publishing house. But by working with Columbus Publishing Lab, they maintained creative control of their work, they produced a better book, and now they’re in a position to make more than 10x the royalties per book sold. Do you have a passion that you’d like to see on the page? Let’s start a conversation. Contact us today.